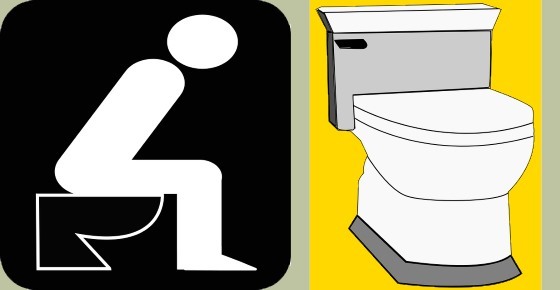 Clay or pale colored stool can be a cause for alarm as it can indicate a medical issue. Clay stool is usually a sign that there is a problem with your gallbladder, liver, pancreas, or bile ducts (biliary system). Whitish, clay or gray stool usually happens when digestive bile can’t get to your small intestine to help with the digestion of food, as bile gives poop its brown color. Acholic stool is another name for pale, clay or whitish colored stool due to a lack of bile. In some cases, white, pale or clay stool can be associated with other symptoms such as yellowing of the skin and eyes, pain in your right upper abdomen, or nausea. What is Clay or Pale Colored Stool? Clay-colored stool usually indicates a lack of bile in your small intestine. Bile produced by your liver and stored in your gallbladder is responsible for the typical brown color of your stool. A lack of bile in your digestive process will result in stool that is gray, pale or clay-colored. Passing whitish, gray or clay poop is generally associated with issues in your biliary system. The biliary system is composed of the organs and ducts that produce, store and transport bile. Therefore, along with clay or pale feces, you will usually have other symptoms. Should You Be Worried About Clay or Pale Poop? Stool that looks like clay is not a normal occurrence and needs to have a proper diagnosis. The gallbladder is an organ in your body that stores bile and secretes bile into your small intestine to help digestion. Let’s look at some of the issues with your gallbladder that can turn stool the color of clay. Gallstones that block your bile ducts can be a reason for passing clay-colored stool. This is also one of the most common reasons for a gallbladder attack. To help find how to treat gallstones, please read my article on how to get rid of gallstones. If you continually have gallbladder pain, doctors may recommend removal of your gallbladder. The color of stool after gallbladder removal could be lighter than usual as your digestive system adjust to not having a gallbladder. Gallstones or another problem with your gallbladder can cause cholecystitis that can also cause stool to turn a light gray color. You may start pooping light-colored stool if a gallstone, cysts, or enlarged lymph nodes cause an obstruction in your bile duct. Biliary strictures refer to a condition where the biliary duct becomes narrowed and impair the flow of bile. Biliary strictures often result in very light-colored stool that has a gray appearance. There are some other issues related to your biliary system that can cause clay-colored stool. Pancreatitis is an inflammation of the pancreas, and it can mean that your poop occasionally looks like clay. Hepatitis is a group of liver diseases that can mean you start pooping clay stools and show signs of jaundice. Dr. Samji reports that other symptoms of hepatitis are urinating dark-colored urine, itching on your body, hives, nausea, and vomiting. Although there are many causes of hepatitis, you can help avoid symptoms of liver disease by taking care of your liver. For example, it’s essential to drink plenty of fluids to help remove toxins from your body and prevent complications of dehydration. Choledochal cysts can be a rare cause of white, pale or clay colored stools. Your biliary system is composed of your gallbladder, liver, biliary ducts, or pancreas. But not all reasons for having pale bowel movements are connected to your biliary system. Inflammation of the intestinal tract is called gastroenteritis and it can cause greasy, clay-colored stools and vomiting. Gastroenteritis is also one of the causes of cramping stomach pain with diarrhea. If you start having watery diarrhea because of stomach flu, it’s essential to drink fluids containing electrolytes to prevent dehydration. If you’ve had a stomach flu due to a food poisoning, usually the symptoms of food poisoning can last 1-2 weeks. Clay-colored diarrhea and stomach cramps could be a sign of an intestinal parasite infection. Parasite infections can occur from consuming contaminated food or water or by unhygienic practices. Tapeworm infections, pinworms, or threadworms can live in your intestines and cause unpleasant digestive symptoms. Please read my article on how to treat parasitic infections naturally for the best advice on how to get rid of these nasty parasites. There are many herbs that can help to destroy intestinal parasites. Mononucleosis (or, mono for short) is a viral infection that can cause you to have white chalky stool along with a fever. Celiac disease is a lifelong autoimmune disorder that causes a reaction to gluten, a protein found in wheat, barley, and rye. One of its symptoms is pale, white stool that smells bad. Even consuming a small amount of food that contains gluten can cause gas, diarrhea or constipation. If your poop is frequently white and you are tired all the time, it could mean that you have a complication of sickle cell anemia. This type of anemia is usually present at birth and can cause pale skin, shortness of breath, and dizziness. Another rare cause of pooping clay-colored stools is a lack of the enzyme glucose-6-phosphate dehydrogenase (G6PD). Sometimes, white or pale stool can be a side effect of some medications. Of course, this reason for passing clay-colored feces is only temporary and your stool will return to normal color when you stop taking the medication. If you suffer from diarrhea, you can try consuming ginger as a medicine to soothe your digestion and treat diarrhea naturally. Can Cancer Cause Clay Bowel Movement? Cancer could cause whitish poop if the tumor affects your pancreas or causes a biliary duct obstruction. Sometimes, children have pale stool due to gastroenteritis, food poisoning, or taking anti-diarrhea medication. However, acholic stools in infants can often indicate a problem with liver function or bile duct blockage. Keeping your biliary system healthy is the best way to prevent health conditions that turn your stool white or clay-colored. The treatment for clay-colored bowel movements depends on the underlying cause. Your doctor will diagnose the condition that is turning your poop chalky by testing liver function, quality of stool, and how your digestion is working. For example, your doctor may ask you about signs of pain under your right ribs and order blood tests. If you have malabsorption issues, then taking vitamin supplements or changing your diet can prevent very light-colored stool. If your doctor suspects that the acholic stools are caused by a biliary issue, then medication or surgery can help to cure clay stools.